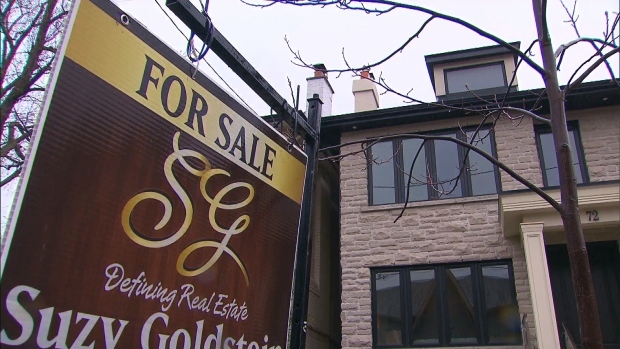 TORONTO - Luxury home sales in the Greater Toronto Area, Oakville and Hamilton-Burlington have fallen by almost 60 per cent year-over-year, according to a RE/MAX report. The real estate company says 76 freehold and condominium properties in the GTA sold for more than $3 million between Jan. 1 and Feb. 28, down from 180 sales during the same period last year. In Oakville, six homes in the same price range sold early this year, in comparison to 15 a year ago. Homes priced above $1 million in Hamilton-Burlington saw a 55 per cent drop to 59 homes sold at the start of the year from 133 in 2017. Though RE/MAX says the luxury market's record-breaking pace from last year has slowed, it is still expecting plenty of activity this year. Already RE/MAX says it has seen increases in luxury home sales in the GTA's Kingsway/Princess Anne Manor and Rosedale neighbourhoods, where 10 homes have sold so far this year, including the most expensive one for $8.4 million.